Residential Warranty Company, LLC is a leading provider of insured home warranties to the Building Industry. Builders seeking options in coverage, reliable warranty protection, & assistance in dealing with customer service choose RWC. In business for 35+ years, RWC has warranted over 3 million homes and our insurer is rated “A- (Excellent)” by A.M. Best. It takes many components to build a home, and as a builder, you have to make many decisions to make. The homes you build need to be of quality construction, attractive and offer inviting features to pull in buyers. Though not a physical characteristic such as a large kitchen island or crown molding, a new home warranty is an equally impressive detail that proves to be advantageous over and over again. 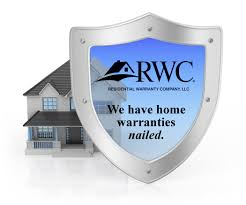 If you haven’t ever thought about offering a warranty on your homes or are wondering “What’s in it for me?”, Residential Warranty Company, LLC (RWC) has the answers.